Love is like a friendship caught on fire. In the beginning a flame, very pretty, often hot and fierce, but only light and flickering. As love grows older, our hearts mature and our love becomes as coals, deep-burning and unquenchable. The key to immortality is first living a life worth living. I fear not the man who has practiced a thousands kicks once; but I fear the man who has practiced one kick a thousand times. A goal is not always something to be reached, it often serves simply to as something to aim at. If you want to swim jump into the water. Lee Jun-fan (Bruce Lee) was born on this day in San Francisco, CA, USA in 1940. Today is the 2nd anniversary of his birth. Although he was born in San Francisco he was raised in Hong Kong. He began to train in the martial arts at 13. He studied philosophy at the University of Seattle. Upon graduation he opened a martial arts studio in Oakland and Los Angeles and developed his own art called Jeet Kun Do. Bruce Lee trained several celebrities before entering the film industry himself. He was born under the sign of the Dragon and the word dragon appears in several of his movie titles. Lee died at the age of 32 from a cerebral edema from an allergic reaction to medicine in July of 1973. 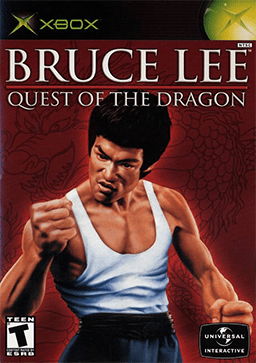 This entry was posted on Tuesday, November 27th, 2012 at 1:36 am	and tagged with Bruce Lee, Martial arts and posted in Bruce Lee, China, Chinese, Film, Martial Arts. You can follow any responses to this entry through the RSS 2.0 feed.